Apparently, investors liked what they saw on Ophthotech’s roadshow. The New York-based ophthalmics company, founded by former Eyetech Pharmaceuticals executives David Guyer and Samir Patel, priced its IPO late Tuesday, and sold 7.6 million shares at $22 apiece. Those figures mean Ophthotech ended up raising a whopping $167.2 million from the offering—a number that could jump even higher if its underwriters add the 1.14 million additional shares they have the option to buy at the IPO price over the next 30 days. Ophthotech’s haul is more than double the $85 million the company initially sought to raise from public investors when it first outlined its IPO in August. 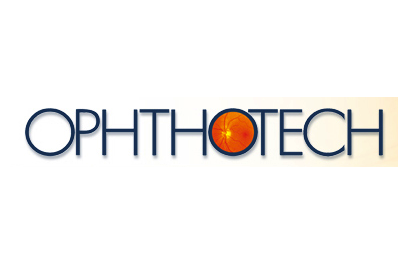 Further, Ophthotech upsized the offering and boosted its projected range twice. On Sept. 9, it contemplated selling 5.72 million shares at $16 to $19 apiece. Then, early Tuesday, it amended its IPO prospectus again, estimating that it would sell 7.6 million shares at $19 to $20 apiece. It’ll begin trading on Wednesday on the Nasdaq under the symbol “OPHT” with a market capitalization already exceeding $600 million. Novo A/S (28.65 percent) was Ophthotech’s largest stockholder prior to the IPO, followed by SV Life Sciences (26.80 percent), HBM Healthcare Investments (15.21 percent), and Clarus Ventures (13.57 percent). Morgan Stanley, J.P. Morgan Securities, Leerink Swann, and Stifel, Nicolaus & Co. are the company’s underwriters. Why all the interest? Investors are clearly intrigued by Ophthotech’s approach to treating the wet form of age related macular degeneration, a condition in which abnormal blood vessels grow in the macula—a part of the retina—and leak behind the eye, leading to distorted vision and potential blindness. The market for wet AMD has evolved from laser therapies to a group of drugs injected into the eye that work by blocking the vascular endothelial growth factor (VEGF) that researchers believe causes the condition to worsen. Roche/Genentech’s cancer drug bevacizumab (Avastin) is often prescribed off-label for wet AMD, but the other anti-VEGFs—ranibizumab (Lucentis, also from Roche/Genentech) and aflibercept (Eylea, from Regeneron) have also emerged as big successes. 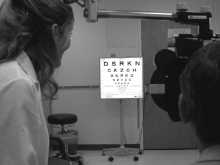 Ophthotech is trying to tweak the wet AMD treatment paradigm. While anti-VEGFs only stop abnormal blood vessels from continuing to grow, Ophthotech has created a drug that targets a different protein, platelet-derived growth factor (PDGF), which scientists believe may cause those blood vessels to recede when added to the regimen. Ophthotech’s plan, then, is to have patients get separate injections of both its anti-PDGF (a drug it hopes to market as Fovista if approved by regulators), and an anti-VEGF, during each visit. Though Ophthotech isn’t the only company trying this type of approach—Waltham, MA-based startup Kala Pharmaceuticals is developing an anti-VEGF/anti-PDGF combination as well, for instance—the Ophthotech drug is the furthest along in development. Ophthotech’s big IPO raise will help bankroll a late-stage clinical trial, in which it’s hoping to show that patients getting injections of both its anti-PDGF and ranibizumab fare better than those getting injections of the Roche drug alone. Ophthotech will start that big Phase 3 by the end of the year, and plans to have the first top-line data from that study in 2016. Ophthotech owns worldwide rights to the drug.